A couple weeks ago, during my blogging hiatus, I attended the Rekorderlig Midsummer House in Victoria Park East London. 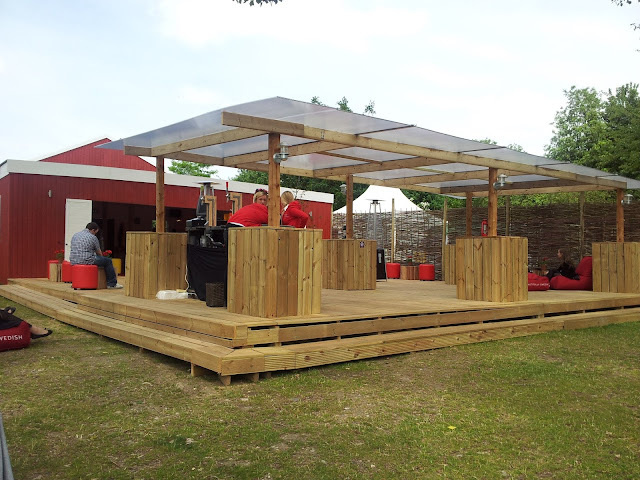 Rekorderlig is a Swedish cider brand; to celebrate longer summer days, a Midsummer House (or rather a pop up pub) was set up in the park; it was open from 21 June 2013 to 05 July 2013 with afternoon (12pm - 5pm) and evening (6pm - 11pm) sessions. Tickets were £10, which covered BBQ food and drink (more on that later). Outside - so glad that it was a decent day and it did not rain! The thought of free flowing drink and food were swiftly put to bed when I and my friend realised that our entry tickets entitled us to 1 free cider of our choice and a BBQ taster. It was a large glass of cider (a bottle of 500ml) and the BBQ taster did taste nice, so I was interested in having more. I wasn’t anywhere drunk, but I definitely sobered up when subsequent purchases of cider were £4 and a gourmet Swedish hotdog (without any chips, salad or side to go with it) was going to cost £5. I will not lie, the price of the hotdog hurt me more than the cost of the drink, especially as I and my friend bought because we were hungry! While it tasted good, I did not get my money’s worth. 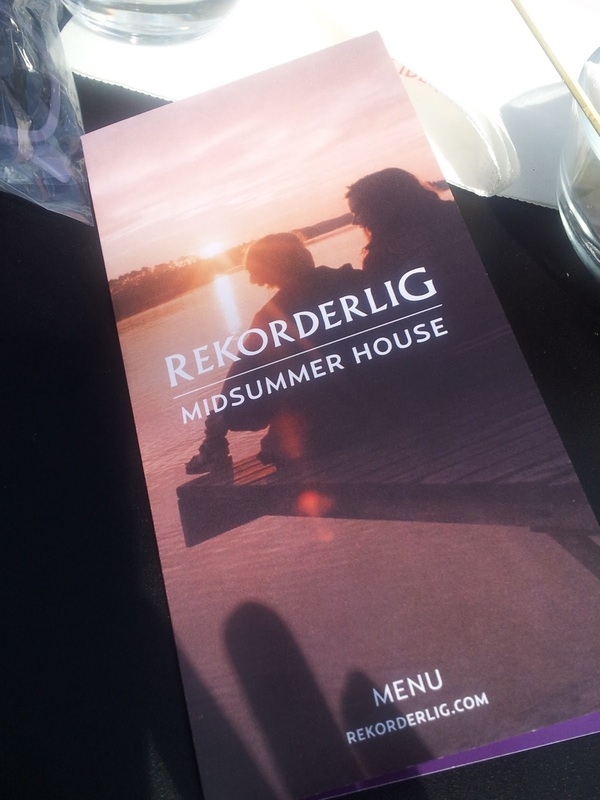 To be honest while it was lovely enjoying a Rekordelig Cider in the sun at the Midsummer House, I could have easily enjoyed a Rekorderlig Cider in the sun at a much cheaper price! 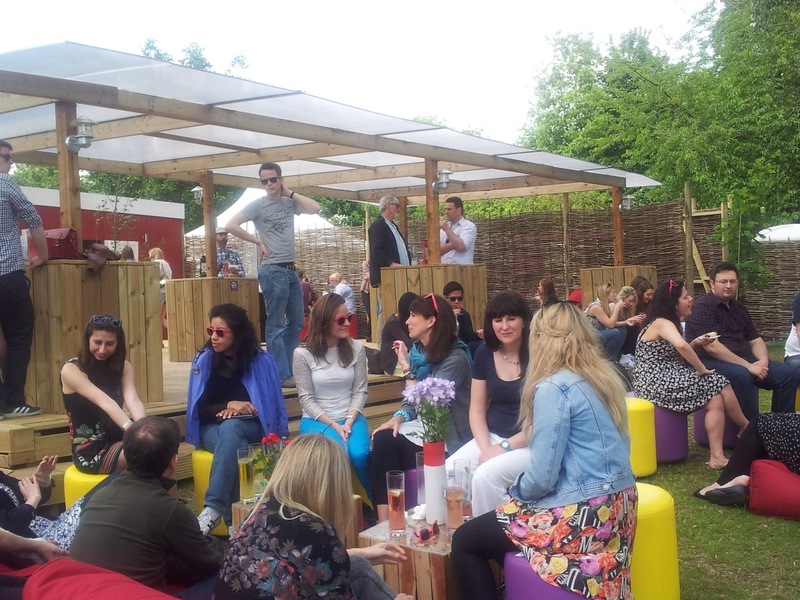 The major supermarkets are currently doing deals on the cider and in any event it’s actually cheaper to buy a single cider from the supermarket and possibly any bar or pub than at the Midsummer House (or any other glorified pop up pub). 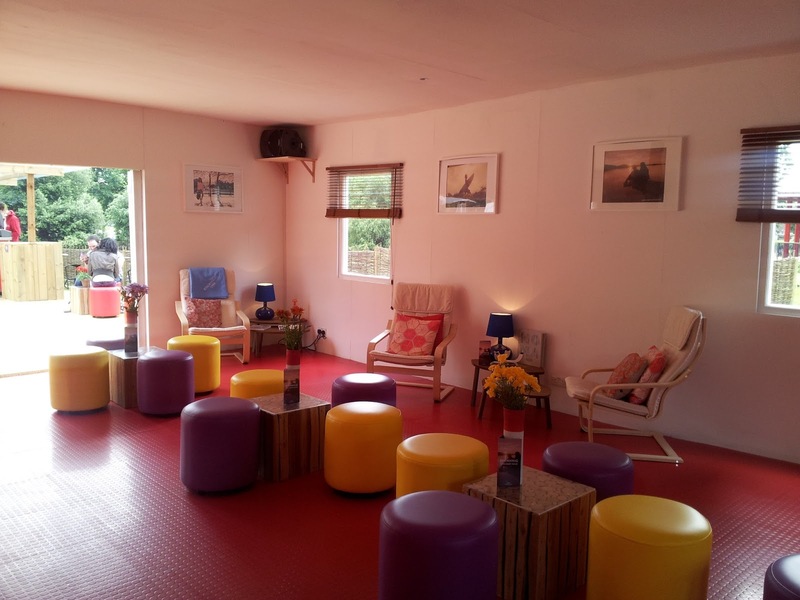 it was a sell out for every day that it was open! 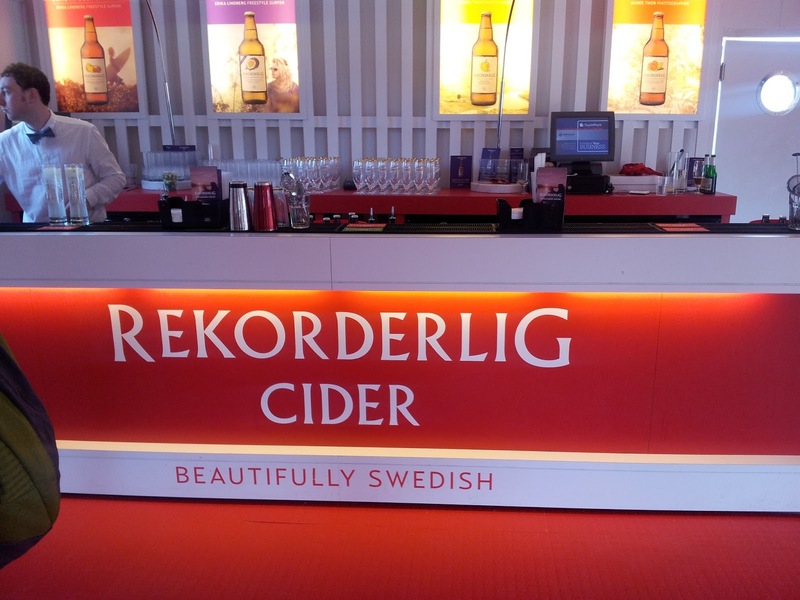 Despite the mediocre experience at the Rekorderlig Midsummer House, I would say that the brand does good cider and I recommend that you try it out – especially the strawberry and lime cider! What a rip off! 4 quid a drink, but then I guess that's how they make their money. 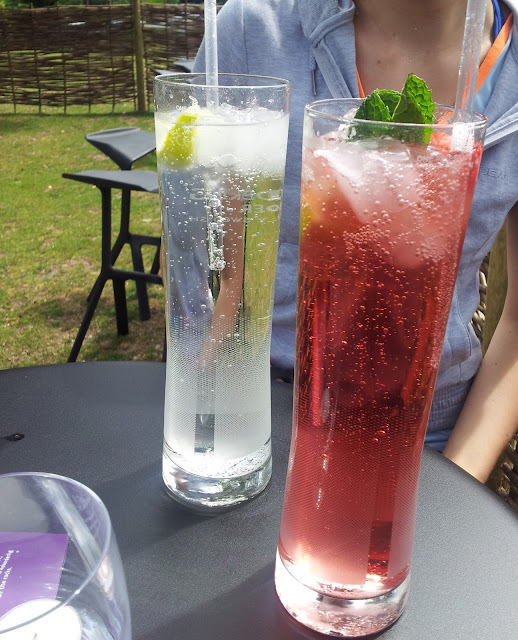 I've tried the pear from Rekorderlig (did I spell it right?) and it was too sweet for me but strawberry and lime sounds tasty. Thanks for sharing.